I'm a Lip Girl. 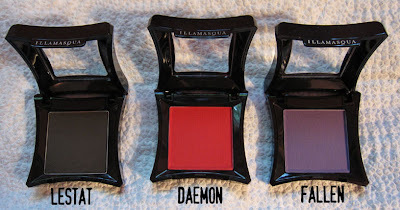 I'd much rather wear a bold lipcolor than bright eyeshadows. That is why I love the concept behind the brand Lipstick Queen. Created by Poppy King, this brand focuses solely on the Lips. There's a lipstick or gloss for everyone in her line. 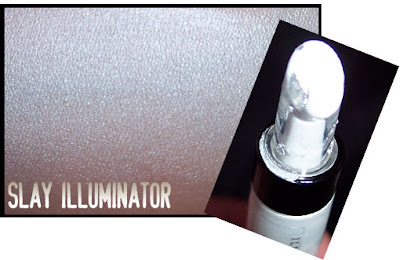 The "Saints" feature sheer wearable formulas, while "Sinners" is made up of 90% opaque matte shades. 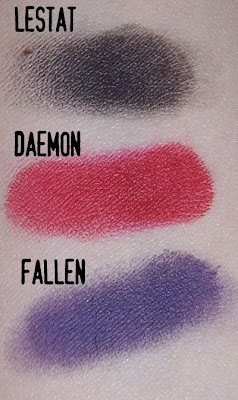 I've been trying to get my hands on Red Sinner, a classic matte 1940's red, for ages now and it's always sold out! 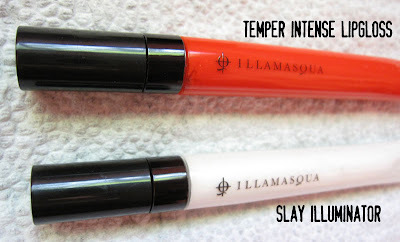 LG also offers a gorgeous selection of glosses & lipliners. The Chinatown Collection, is made up of 5 super glossy, super sheer, super moisturizing, "draw on" glosses. The chubby pencils ($20) also come with their own jumbo size sharpener. If you're new to bright shades or afraid of them, these are for you. They allow you get a taste of bright lips, with out being overpowering. 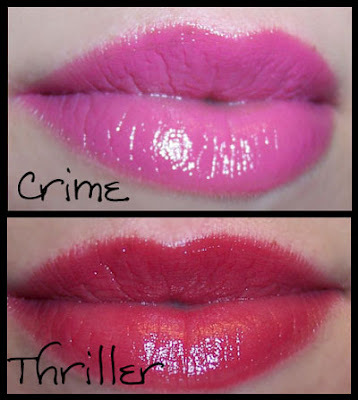 I chose "Crime", a sheer hot pink and "Thriller" a sheer scarlet red. The pencil form makes these fool proof to apply, you just draw on and fill in the lines like you would a coloring book. 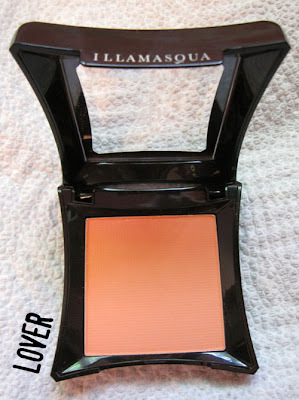 The sheer formula is a great way to ease yourself in to wearing a bolder lip color. 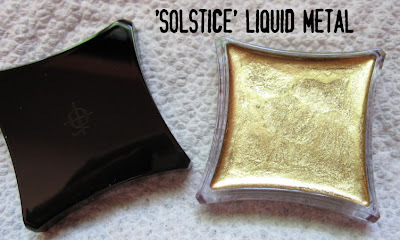 I thought these wouldn't show up on my pigmented lips, but they're surprisingly buildable. 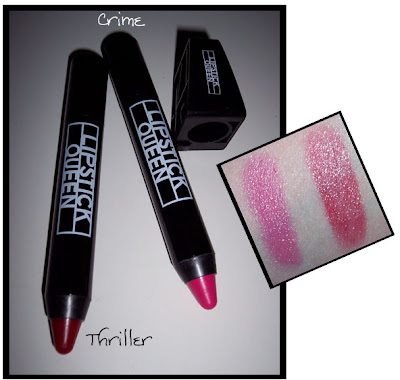 They give you a sheer pop of color, and cut your lip products down to only one. 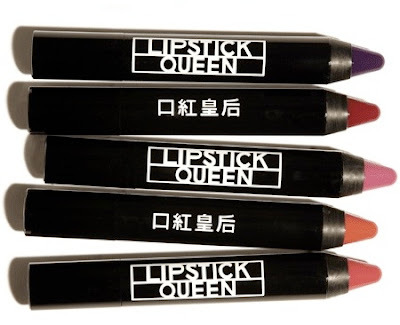 You can purchase Lipstick Queen at Lipstickqueen.com or at Barney's locations and other select stores listed on the site. Here is the Master List to all of the Music I've used in my Youtube Video's thus far! Some of them youtube audioswapped and are unknown, so I've listed my original music selections for the video instead. NEW Many Made Up Faces 2011! Marilyn Manson - MOBscene - MonroeMISFITmonster Final look. The death of glamour. The END.